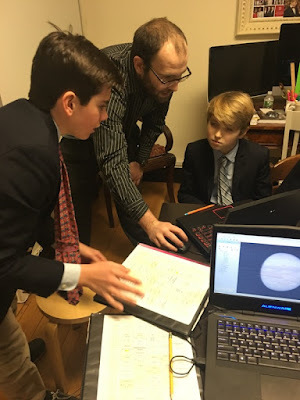 This past Friday, as part of our unique partnership with the American Museum of Natural History, sixth graders had the great honor to attend a private lecture given by Carter Emmart, Director of Astrovisualization at AMNH. 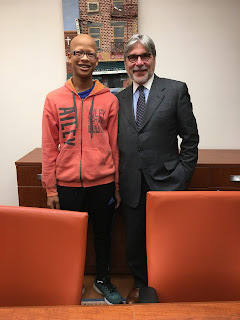 Dr. Emmart told the boys about his passion for science along with an overview of the history of the Hayden Planetarium. 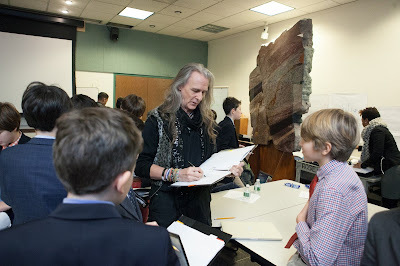 He also gave the boys advice on how to take scientific information about the universe and compile it into an interesting and captivating show for an audience. The boys were able to see Dr. Emmart's original sketches, which helped create the Uniview program they are using to develop their presentations. The session provided our boys with an opportunity to learn how art and science come together in the planetarium, and to obtain expert advice on developing their own space shows from one of the creators of Uniview. You can learn more about Dr. Emmart's work and Uniview by viewing his Ted Talk. 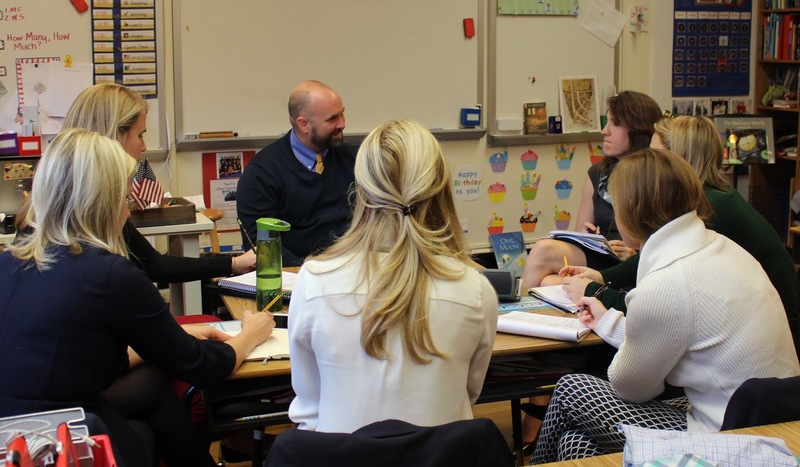 On Thursday and Friday, Saint David’s teachers participated in workshops with Mark Church, our learning consultant from Harvard and co-author of Making Thinking Visible. Sessions centered around planning for study units that would incorporate the kinds of thinking we would like to make routine in our efforts to teach for increased understanding throughout the program. Among the units discussed were a new math investigation in Grade 2, the Nerdy Derby STEAM unit in Grade 3, and The American Revolution unit in Grade 5. Mark also met with individual faculty on a variety of initiatives, such as cultivating thinking routines during research projects in Grade 6. 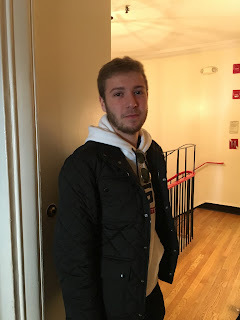 He will return to the school in May for a follow-up session with the participants. The school began working with Mark Church in 2014, in order to consider ways to further develop a culture of thinking at Saint David’s and has hosted workshops with him each year since. Second graders are discovering how electrical circuits and switches work by making their own. In a recent class, the boys, after learning that some materials allow electrical flow while others do not (conductors and insulators), put their knowledge to task: they had to build their own switch. Their switches had to contain a moving part and, when activated, had to either make electricity flow or not flow. The boys got to work, experimenting with materials including aluminum foil, clay, paper clips, and pop sticks. They quickly found that the challenge could be a bit tricky, but were all the more intrigued when their designs didn't work and were eager and determined to find the right combination of materials that would lead to a successful electrical switch! Trial and error, learning through multiple attempts, observing the efforts of others in the class--all of these strategies help to develop our boys' curiosity and ability to solve problems creatively. 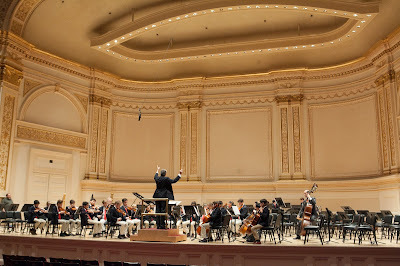 Saint David's Philharmonic Ensemble performed in "A Festival of Orchestras" at Carnegie Hall this past Sunday afternoon. It was a proud day. The average age of the members of most orchestras on the stage Sunday would have to have been 14-15 years, for Saint David's it was 11--and we were the smallest orchestra in number by far too--but boy did the boys make up for it in performing an incredibly challenging repertoire beautifully. Carnegie Hall's packed house was in awe! What a performance! 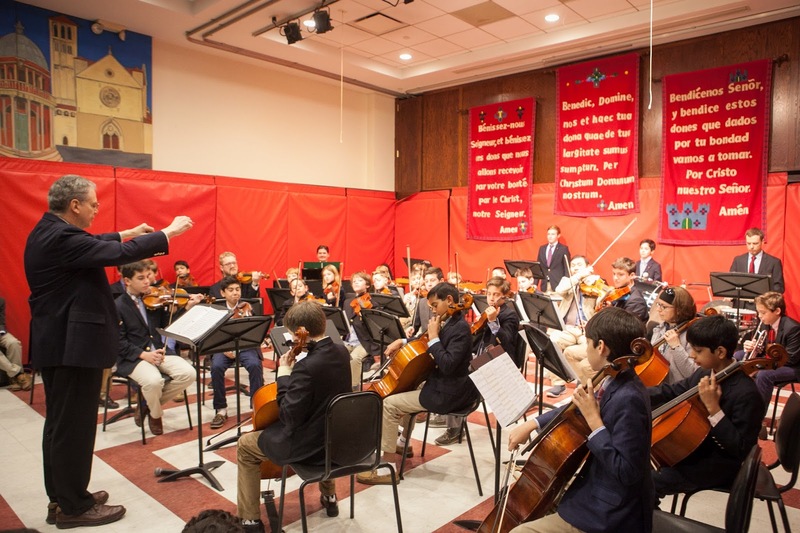 In that venerable venue our boys, joined by alumnus Justin C. '13 (who is Concertmaster for Collegiate's orchestra) played with passion, confidence and acumen, presenting Mouret's Rondeau, Khachaturian's Sabre Dance, and Tchaikovsky's "Little Russian." At the reception following the performance, Concertmasters Ryan B. 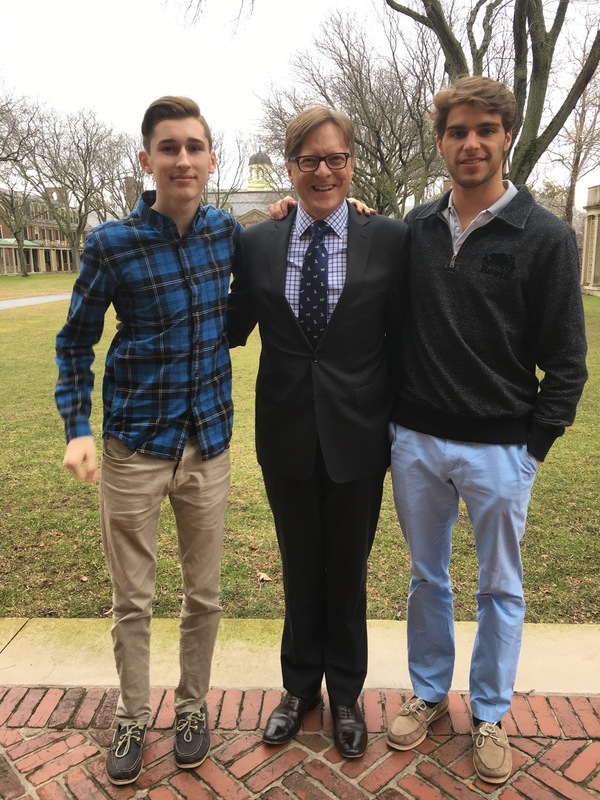 '17, Evan S. '17, and Hunter H. '17, thanked Music Chair Jeff Moore, Philharmonic Ensemble Director Philip Hough, and Ensemble Coaches Aaron van Heyningen, Joseph Martin, John Francis, Nancy Hough, and Kerrick Sasaki, on behalf of the entire Ensemble for their guidance and support. 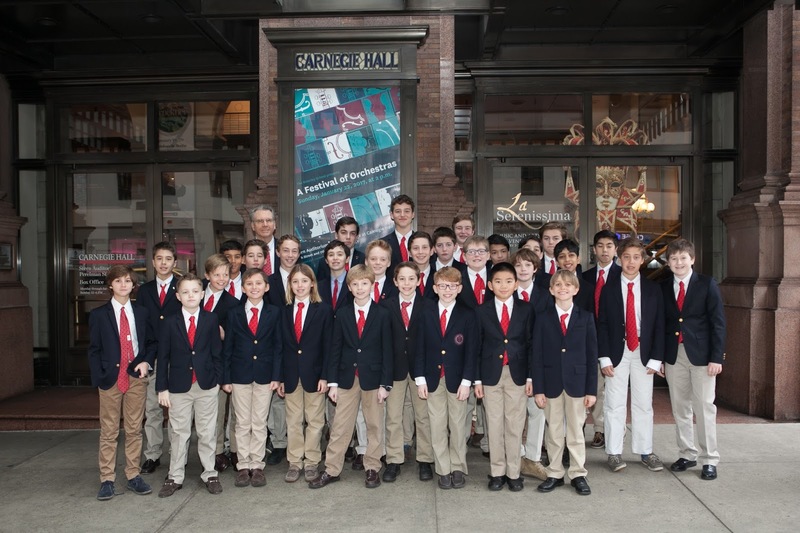 I am so proud of all of the boys in our Philharmonic Ensemble; they have worked together diligently since September, learning and perfecting a challenging selection of music, and their professional comportment on Sunday was remarkable. 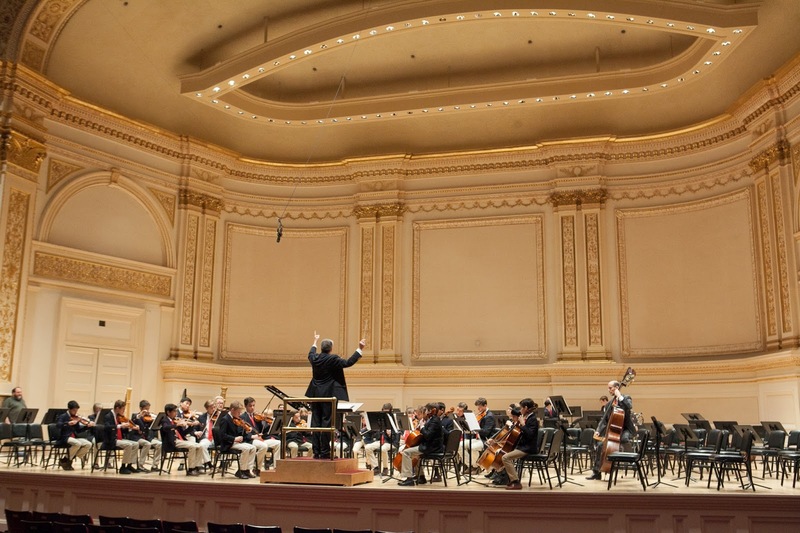 The Festival of Orchestras at Carnegie Hall occurs every three years and includes stellar performances by the Middle and Upper School Orchestras of Brearley, Collegiate, Packer Collegiate, Rudolf Steiner and UNIS. Cranes arrived before dawn Saturday morning along with five semi-trailers carrying steel to be picked and placed on site. 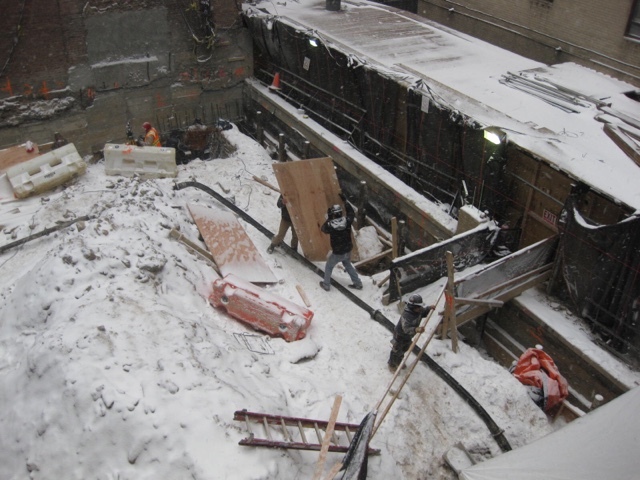 Steel beams being lifted up over the facade of Graham House. Sunday will see additional setting of steel to support the assemble of the cellar and basement levels of the addition. Winter is a musical wonderland at Saint David's. 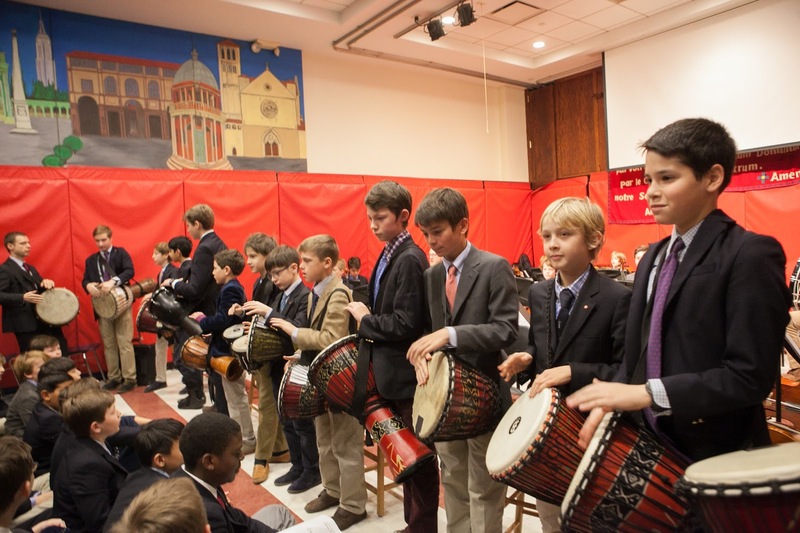 We are in the midst of our annual Winter Festival of Art and Music, and Wednesday was our always anticipated Winter Concert. The performances by the Percussion Ensemble (John Francis, Director), the Chamber Singers (Phyllis Clark, Director) and the Philharmonic Ensemble (Philip Hough, Director) were outstanding. 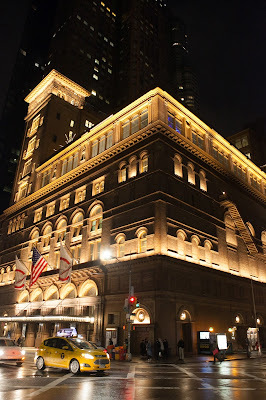 Among the wonderful pieces we heard were Mozart's Minuet from Don Giovanni, the 16th century anonymous song Non la devemos dormir, and Tchaikovsky's Finale from Symphony No. 2, Op. 17 "Little Russian." I am so impressed with the time and effort these boys devote to their love of music throughout the school year, and the quality of these concerts. Congratulations to Music Chair Jeff Moore, Mr. Hough, Mr. Francis, Mrs. Clark and all of our young musicians! 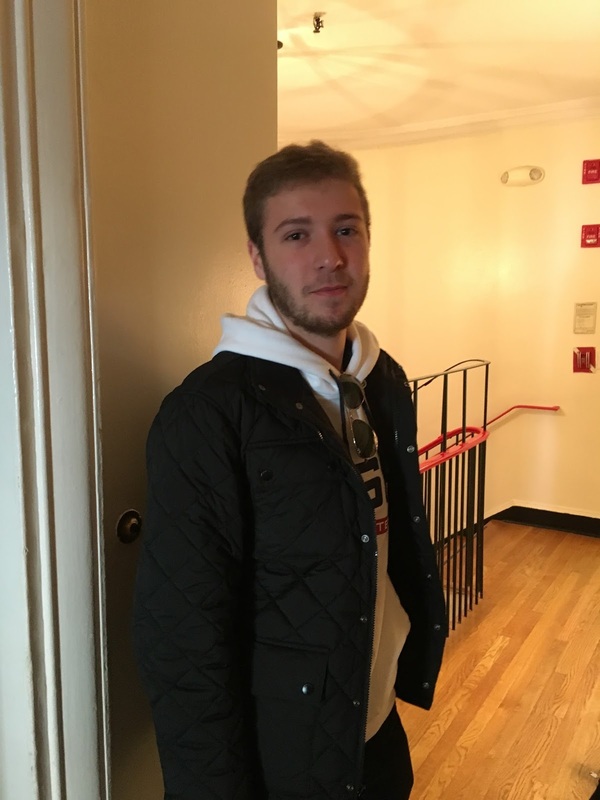 Throughout the fall, our Omega boys studied different careers in their families and in the community. 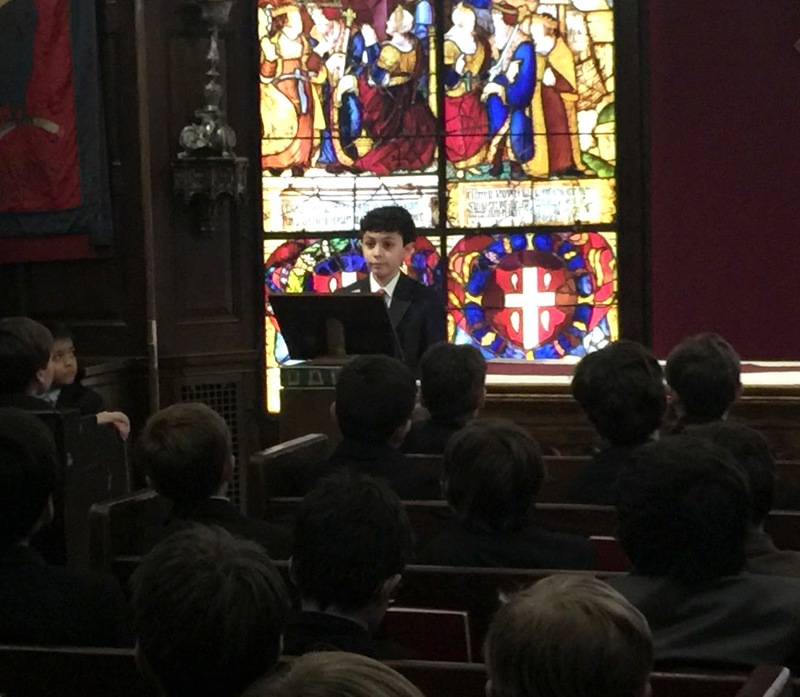 Based on guest speakers, field trips, and research conducted in class, each boy chose his own career to present at the Omega Career Fair, which took place last week. There, I met with aspiring attorneys, scientists, graphic designers, soccer players, etc. 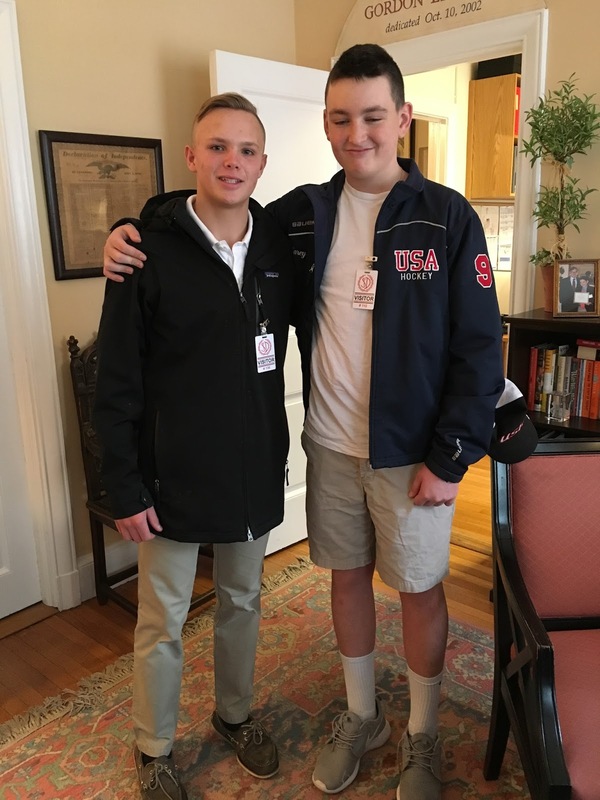 The boys dressed up as their career of choice and presented interesting facts about their job. 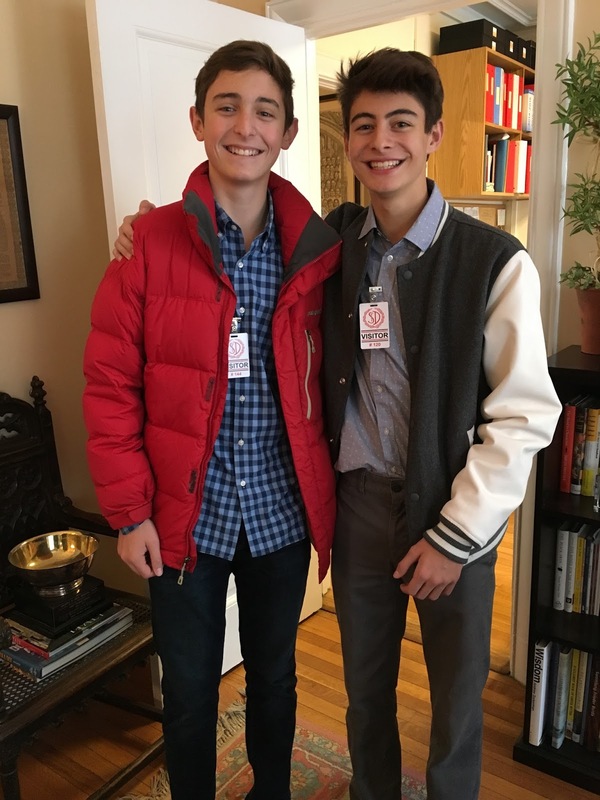 They confidently answered the questions posed by visiting parents and faculty, and were excited and well informed about their career of choice. 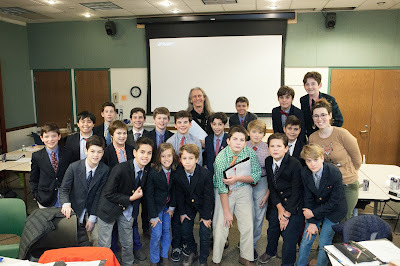 It was a great ending to a multifaceted interdisciplinary unit that thoroughly engages the boys! 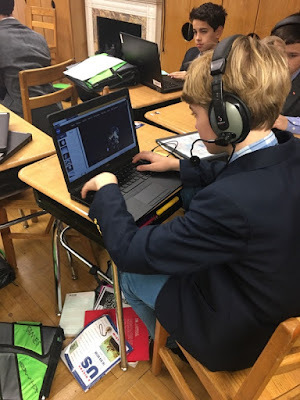 Saint David's School became its own planetarium last Friday when sixth graders, through our school's collaboration with the American Museum of Natural History, had the incredible opportunity to fly through space from the comfort of school! Our AMNH educator, Mr. Evan Ramm, brought the Hayden Planetarium's Uni View software to school for the boys to use as they develop topics of study and research questions in astronomy, which will become the subjects of their very own Planetarium space shows. 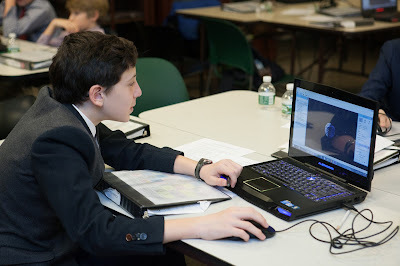 The boys used the Planetarium software to ensure that their interests could be visualized and be the basis for their flights through space. 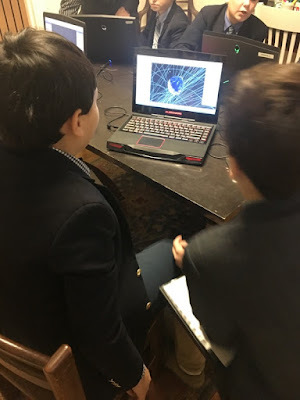 They explored their questions through databases and websites like NASA and JPL, to deepen their understanding and research their chosen topics. The next step in this exciting interdisciplinary Digital Universe unit of study will occur in English class as the boys create their storyboards and write scripts for their upcoming presentations. 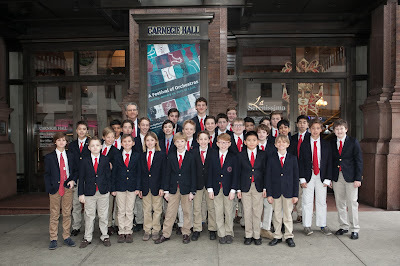 As part of our Winter Celebration of Art and Music, last week The Yale Spizzwinks(? 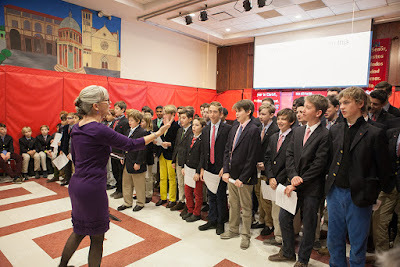 ), America's oldest undergraduate a cappella group, performed for our fourth, fifth and sixth graders. They also gave a Master Class for the Chamber Singers earlier in the morning. These energetic young men wowed our boys with their wonderful singing, their intricate harmonies, and especially their hilarious stories. They told one famous story about their rivals, the men from Harvard, that the boys all loved. As Music Chair Jeff Moore observed, "The Spizzwinks(?) showed great poise, fantastic performance skills, and lovely musicality that our boys will long remember. It was a delightful performance that we hope to repeat again next year. " This week, our first graders and their teachers ventured to Brooklyn to visit the New York Transit Museum. 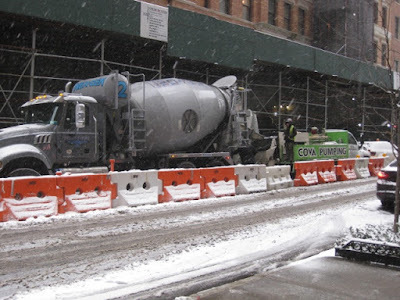 The field trip allowed the boys to enhance their understanding of New York City transportation, which they had studied throughout the fall, part of their yearlong study of New York City. How exciting for the boys to build upon their in-class learning about transportation in New York City from past to present, and to tour the museum's train collection in such a hands-on way! The day also included the boys participation in an art project, in which they created their own moveable bus and/or train. For fostering curiosity, there's just no substitute for this type of active learning that takes advantage of the resources of our wonderful city! Martin Luther King, Jr. Day is important at Saint David's; our mission is all about becoming a good man. Good men don't let their fear of the unknown or difference stop them from engaging people, effecting change. Dr. King tried to teach us that. Each year at this time, we honor the legacy of Dr. King. During Chapel in Grades 3 through 8, a boy reads the great civil rights leader's I Have a Dream speech in its entirety. Many are familiar with parts of the speech, but not all of it. I think that in these times when we are accustomed to receiving only superficial bytes of information, it is an essential exercise to go deep with the whole. At the end of each Chapel, Mr. William Best sings the hymn that was Dr. King's favorite--"Precious Lord, Take My Hand"--and we all join in the final verse, inspired by the example of MLK. Yesterday our First Orchestra and Philharmonic Ensemble performed in a morning concert for the Lower School. The First Orchestra are our youngest musicians, ten violin and cello students in Grades One through Three, who practice each week under director Mrs. Francis. They clearly enjoyed their first performance in front of a large group, and for one of their numbers, Fuzzy Wuzzy, they recruited the boys in Pre-K to sing along. Our older musicians in the Philharmonic Ensemble, directed by Phil Hough, perform symphonic compositions from the classical repertoire. 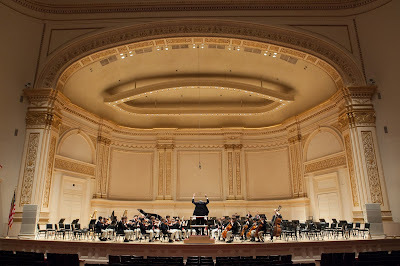 We were treated to selections they will be performing on the great stage of Carnegie Hall in less than two weeks, including the Finale of Tchaikovsky's Symphony No. 2 "Little Russian," Aram Khachaturian's Sabre Dance and Jean-Joseph Mouret's Rondeau (Theme from Masterpiece Theatre). 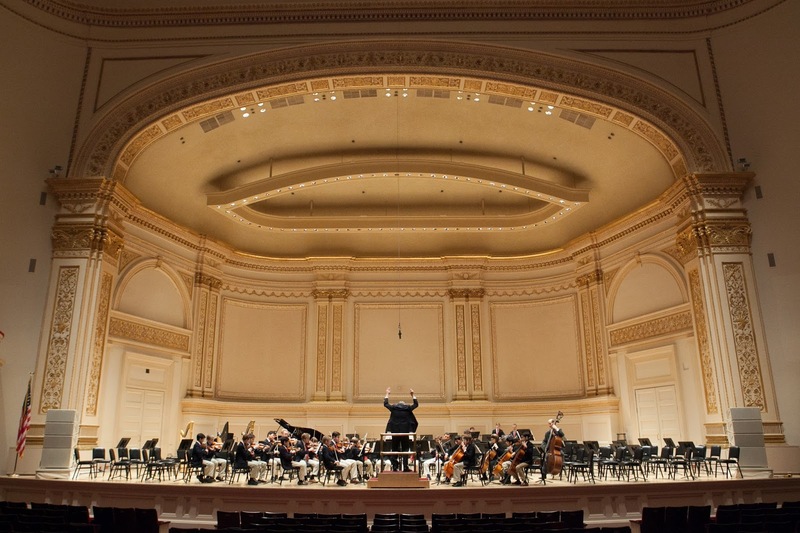 It takes teamwork, talent, commitment, and love of music to play well in a group. These are in strong supply at Saint David's. Thank you, boys, for a wonderful start to the day. Seventh Grade boys are exploring the history, architecture, and art works on view on at the Guggenheim Museum as part of Saint David's special partnership with the institution. After learning about Frank Lloyd Wright's application of organic architecture and geometry in his design for the museum, boys were asked to find examples of these concepts within the museum's interior, and to make carefully observed drawings of their findings. They will apply the observational drawing skills they learned during their fall Drawing Boot Camp, in order to draw and study chosen works in the permanent Thannhauser and Guggenheim collections by artists such as Picasso, Cezanne, Seurat, and Mondrian. As a culminating project, they will choose one of these works to study closely and draw in detail, synthesizing their drawing skills. They will also write an essay explaining the artist's motivation and process, and how he or she used concepts of line, proportion, value, and space in the work. In February, the boys will exhibit their drawings in the museum's educational spaces, illuminating the progression of their learning to "draw what they see" as a means to more deeply understand themselves and the world around them. Saint David's new partnership with the Guggenheim this year is one of the many ways we are harnessing the vast resources of our city's cultural and scientific institutions to augment and deepen the boys' learning across the educational program. 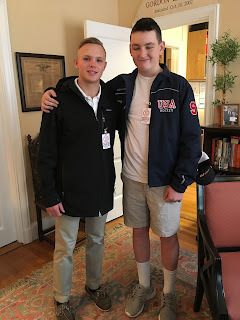 I also visited Alex '13 at Browning at Thanksgiving. He's excited and ready for college. It's so enjoyable seeing and hearing the boys in and about their high schools. ...could stop the great expansion of Saint David's this weekend. Heavy snow today was no match for Pete and the team. 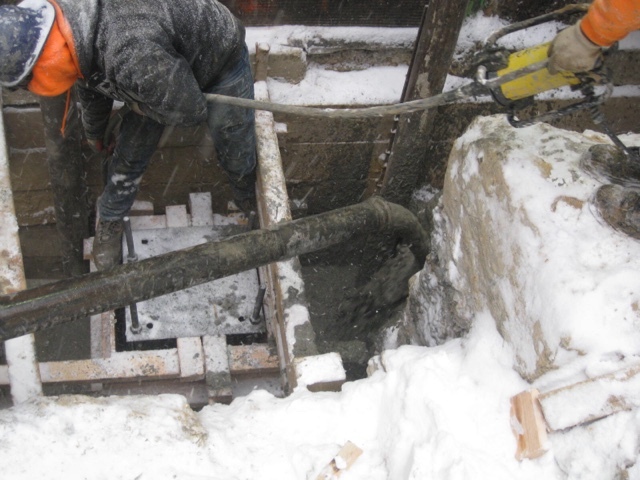 Cement foundations were poured on schedule in preparation for the arrival of the first steel of the superstructure next weekend.